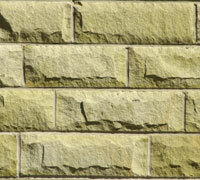 Bingley Stone can provide a wide range of new walling stone types. Below you will find an example of the range of stones we offer. New stone can be supplied in many forms, in stone from many different quarries. The examples below aim to give an indication of what we can offer. All our new walling stones are made from high quality Yorkshire stone to ensure an excellent degree of durability and protection from the elements. Widely used in todays new construction sites. Sawn bed walling stone offers uniformity and ease of use. Sawn bed refers to part of the process in producing this type of walling stone. Huge blocks of stone are mechanically sawn into large sheets either 140mm thick or 215mm thick. The masons will then cut these large sheets of stone into walling size pieces and then dress the front face to produce the finished walling stone. 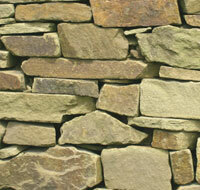 We offer the following types of sawn bed walling stone. A fine grained natural Yorkshire stone. 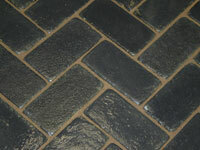 Supplied nationwide this stone has proven durable for in excess of 150 years. Lovely natural colouring and produced to a high standard. Available in the following sizes. 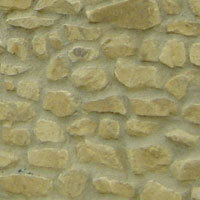 A lovely Yorkshire grit stone available in large quantities in either of the following sizes. Natural bed a term used to describe the plane on which the stone is split. Yorkstone blocks of a certain type have beds running right through them. The blocks can be split along these beds, or planes to provide sheets of stone with a naturally flat top and bottom.The mason can then cut these large sheets of stone into walling size pieces and then dress the front face to produce finished walling stones. A fine grained natural Yorkshire stone produced in the traditional way. Natural bed walling stone is by definition made to natural and varied sizes. Generally courses range from 50mm to 150mm but other sizes can be made to order. Random Yorkstone walling. 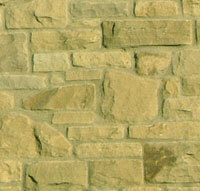 The same high quality Yorkshire stone as with the other types of walling but a little more varied in its dimensions. 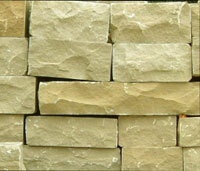 The new random yorkstone walling is available in different forms, an indication of which is given below. 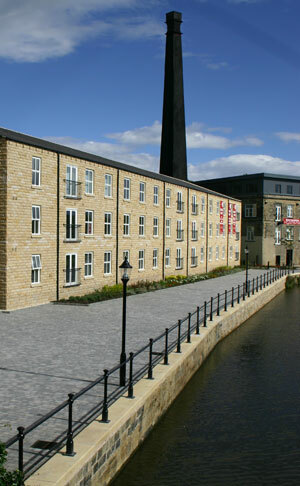 A High quality natural Yorkshire stone produced in the traditional way typical of rural buildings around Yorkshire. 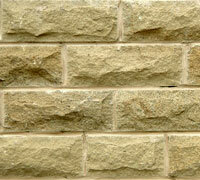 Popular with new builds and barn conversions this walling stone offers lots of character and style at affordable prices. Dry stone walling - Used all over the Yorkshire dales. Our Yorkshire stone dry stone walling is available in large quantities and provides a price efficient option for natural stone walling full of charm and beauty. New rubble walling - Popular in many parts of the country rubble walling has a delightful character and is used in walls, buildings, and homes across the country. Our Yorkshire stone rubble walling is available in large quantities and enables price efficient walling with natural beauty and charm. These illustrations are intended to give an indication of the colouring. As always with any natural stone there will be colour variations. With this in mind we recommend selecting stones from different pallets to ensure a distribution of colours.